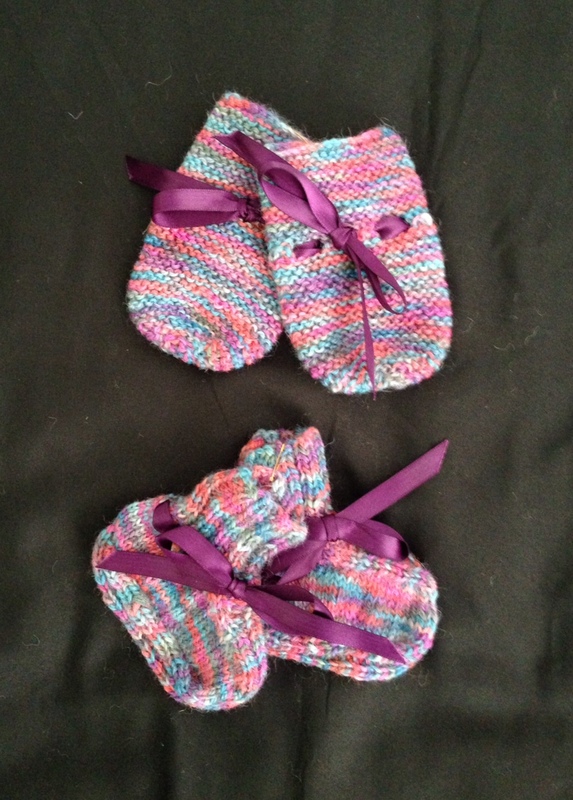 This gorgeous little set has been knitted in hand painted rainbow yarn. Lovely purple ribbons make sure these stay put on your wee one. Gumtree Gully Alpacas © 2014 . All Rights Reserved.